The very phrase crane is something that’s universally used to describe equipment allowing you to work on heights, however, types and uses of these cranes tend to greatly differ. This difference is incredibly important in the construction industry. You see, some of the simpler cranes can be used as a substitute for scaffolding, whereas others are used for lifting some of the heaviest objects and materials. Their maintenance, safe use and cost of renting/buying also vary, which is why it’s so important that you get familiar with as many different types of cranes as possible, as soon as possible. Here’s a brief rundown of what you need to know. The first type of crane that we have to discuss is the so-called cherry picker, which is a simple crane with a small work platform. Most commonly, you can see this piece of equipment used for telephone and electricity pole servicing (both of which may have some importance in the construction process), fire services and filming events. Now, due to the fact that this particular piece of equipment is not that pragmatic for construction itself, it’s mostly used for maintenance and small repairs on an already existent construction. Its benefits are the fact that it’s frugal, doesn’t use too much energy and helps you out immensely, when it comes to hard-to-reach spots in construction. 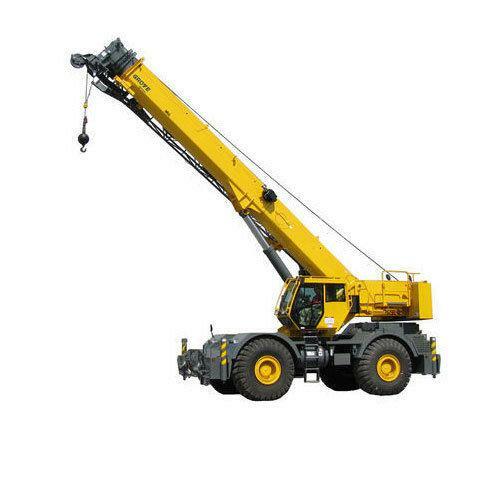 The next type of construction crane is the tower crane which is a massive and powerful piece of machinery. It consists of five basic parts. First of all, it has a base that’s bolted to a large concrete pad that is there to support the crane. Second, it has a massive tower (there to give the crane its height). Needless to say, it’s the tower that gives this piece of equipment its name. The third part is the slewing unit, that allows for the rotation and attached to it is the fourth part, the machinery arm (alongside counterweights for stability). Lastly, you have the operator cabin. Due to the fact that these cranes are incredibly expensive and hard to operate, hiring is much more common than purchase. Boom lifts or areal lifts are equipment specifically designed for lifting workers, tools and light materials. With proper training and pre-shift inspection, these lifts are the simplest and the safest cranes to operate. However, you first need to keep in mind the importance of wind exposure limits, load capacity, and live power proximity. Rather than to make a purchase, it’s much smarter to go for boom lift hire, due to their situational use. The rule of thumb is that if you use equipment less than 60 percent of the time, outsourcing is a more cost-effective option. Another iconic type of crane is a scissor lift, which is a compact vehicle meant to reach great heights in hard-to-reach areas. Its advantage over cherry picker lies in the fact that it has a much bigger work platform, which makes it into a more than suitable substitute for scaffolding. The advantage of scissor lift over a scaffold lies in the fact that it can easily be folded and transported at the end of each day. It also occupies less space in the construction site, seeing as how you can just move it over once you no longer need it at that particular spot. This flexibility is a great selling point when it comes to smaller constructions, remodeling and maintenance. The very last thing you need to understand is the fact that the type and the size of your company, as well as the nature of your contracts, may be a determining factor when it comes to the type of crane that you’ll need. Previously, we’ve talked about buying vs. renting but this question is too situational to give a straight answer to. Renting, nonetheless, gives you more freedom and flexibility, as well as some other perks that are simply too great to ignore. Checkout & Read also: Is changing your IDV and deductible for lower premiums worth it?